Watch video highlights from dozens of hours of intimate, raw and real conversations with some very candid Gen Z students. 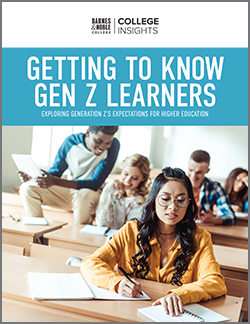 Accounting for 26 percent of the U.S. population, Gen Z is now the dominant demographic on campus — and their influence and impact on higher education will be significant. Born 1996 or later, Gen Z is now the generation that is 22 years old and younger — and one that colleges and universities need to understand. 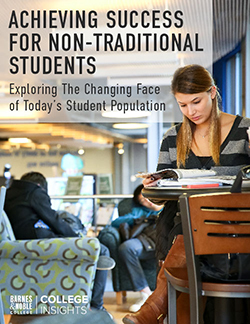 Barnes & Noble College Insights™ wanted to hear what is on the minds of this influential group, particularly the 18-22-year-old college segment, so we asked them — directly. We sat down with students on U.S. college campuses and conducted online quantitative research with students nationwide. The result: a truly rich dialogue revealing this generation’s DNA that’s driving their beliefs and values. Watch highlights from dozens of hours of intimate, raw and real conversations with some very candid Gen Z students on college campuses.